Eliminating pain and improving spinal health & stabilization. 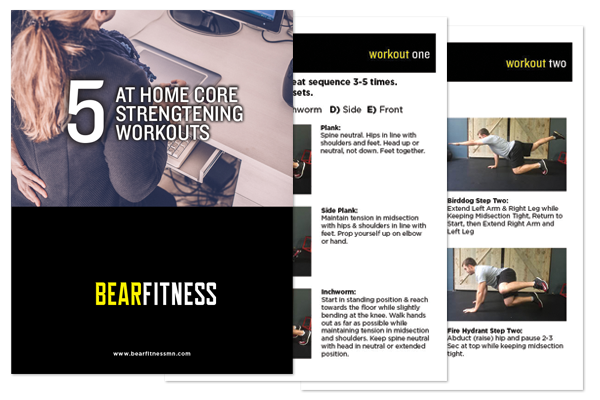 5 At Home Core Stability Exercises! 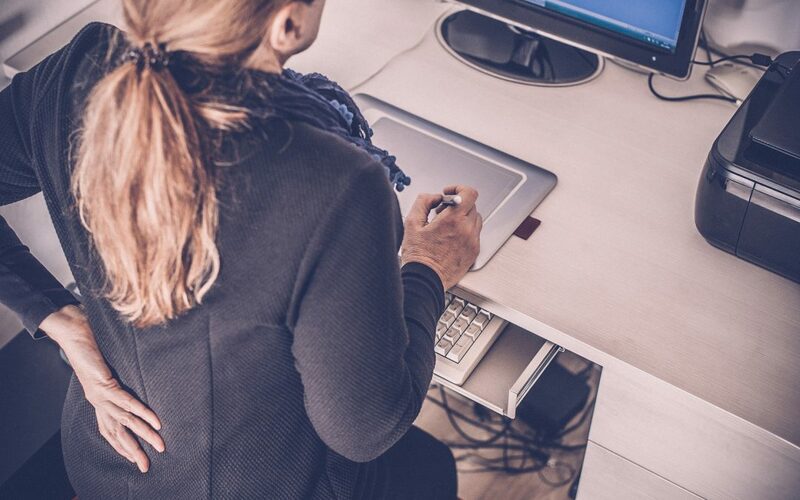 Lower-back pain is one of the leading healthcare costs in the United States so chances are you or someone you know is suffering from low-back pain! There are many causes, however many are preventable through proper diet and exercises programs. In many cases, strengthening core muscles that stabilize and protect your spine can be used for proactive maintenance or treatment of a current condition. Our main goal is to become proactive and prevent an injury from occurring in the first place, rather than being reactive to an injury that has already happened. Want to know more about why we need to train our “core muscles” and what that means? Check out this link! DOWNLOAD YOUR FREE EBOOK WITH MOVEMENT DESCRIPTIONS! If our contact form isn’t working send us an email at info@bearfitnessmn.com and we will send you the pdf!